We offer over 16 years experience in supporting organisations with their corporate wellbeing by offering corporate yoga classes in Sydney Metropolitan, Sydney Inner West, Upper North Shore and the Northern Beaches. Corporate yoga classes are a simple and efficient way to support your employees’ health and wellbeing, whilst at the same time increase your business outcomes and position your organisation as an employer of choice through its commitment to its people. Classes and courses can be offered at a time most convenient to your organisation and employees’ schedules – before work, lunch, after work or within standard working hours. 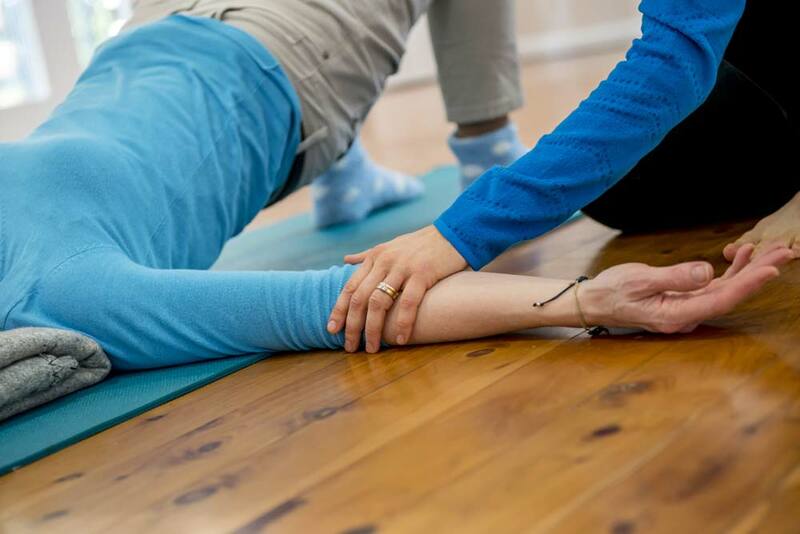 The yoga practice we share is about re-connecting with oneself and enjoying a simple physical workout that supports and cares for the whole body. Our classes run to a simple format which means that they are accessible to everyone from the complete beginner as well as catering to the more experienced practitioner. Classes can be offered in chairs if the space is too limited for a practice with mats. Overall, the practice supports employees to find difficulties more manageable, increase their productivity, reduce absenteeism, allow for better decision-making, improved morale and energy levels. We take personal care of those with injuries and specific medical conditions (a clearance from a medical practitioner may be required prior to enrolment in certain circumstances). We also also offer Corporate Meditation courses and classes. Classes can be 45, 60 or 75 minutes, as a one off or in a program format. They can be offered in chairs settings or with mats. A regular class or course format best supports the participants to live the benefits of the practices shared and integrate them into their life. Fees are according to the number of participants, program/class duration, and our distance to travel.